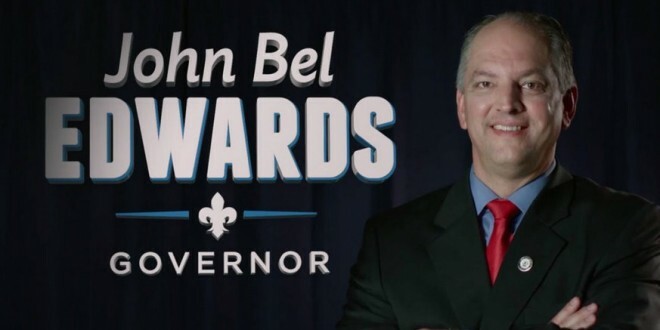 LOUISIANA: Dem Governor Sues Attorney General For Blocking Contracts Over Their LGBT Protections - Joe.My.God. Landry has rejected at least three dozen legal contracts for a variety of state government agencies because they include language preventing discrimination based on sexual orientation or gender identity. “I believe he is on the wrong side of the law and the wrong side of history,” Edwards said. The contracts affect legal issues surrounding the state’s ports, potential medical malpractice awards for patients and oversight of state bonds, among others. “It’s becoming a real problem because we have to move forward,” Edwards said. When Landry was a member of the US House he joined the Tea Party caucus and backed every wingnut policy imaginable. Previous Kayla Moore Has The Shitcanned Husband Sadz: Evil Dems Brought Him Down With A Prancing Drag Queen!